Was it real or did I dream it? How much of our lives are real, how much of it all happens in our minds? Are we mostly mirroring the world or being a mirror for the world ourselves? Have you experienced any traumatic experience, being it sexual assault or another form of violence, that made a dent in your universe? How to cope with the reality? What is haunting you at the night? 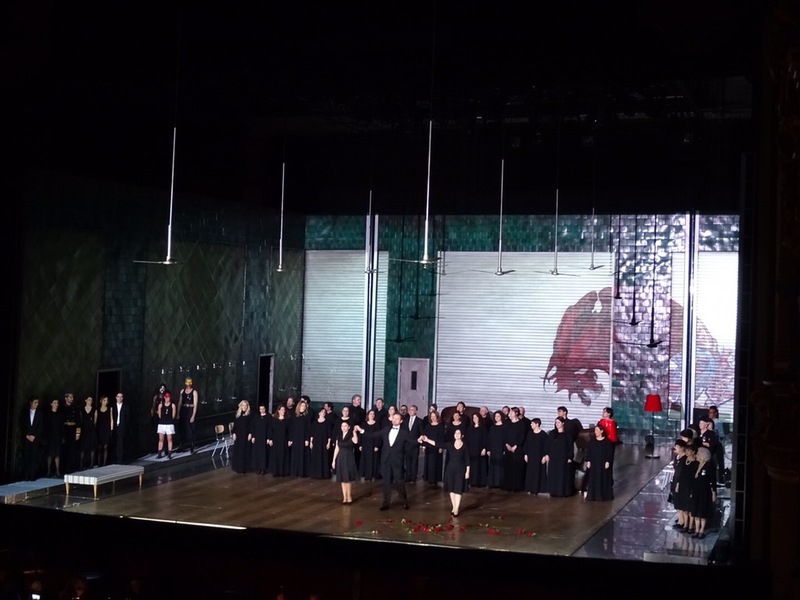 Those and many more questions wander in the mind while absorbing the impact of the opera production by Krzysztof Warlikowski ar Palais Garnier. 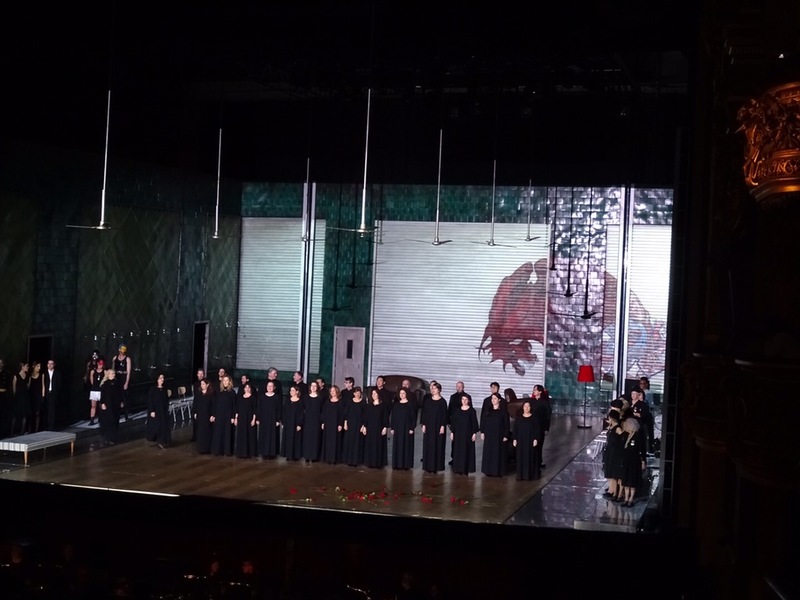 Emotionally and visually striking performance, and even if classical opera is not on my favourites list, Gluck must be that composer from whom to work backwards for a better understanding of early age of operas. The production is renewal after 10 seasons and nevertheless it seems very fresh. The mirroring concept creates a movie-like contemplative feeling, reliving through flashbacks memories either real or imagined. The directorial intent is to separate reality from fantasy or a dream, which is cruel and thus so vivid. The main star of the night undoubtedly was Veronique Gens, who took the audience in full control throughout the whole performance. 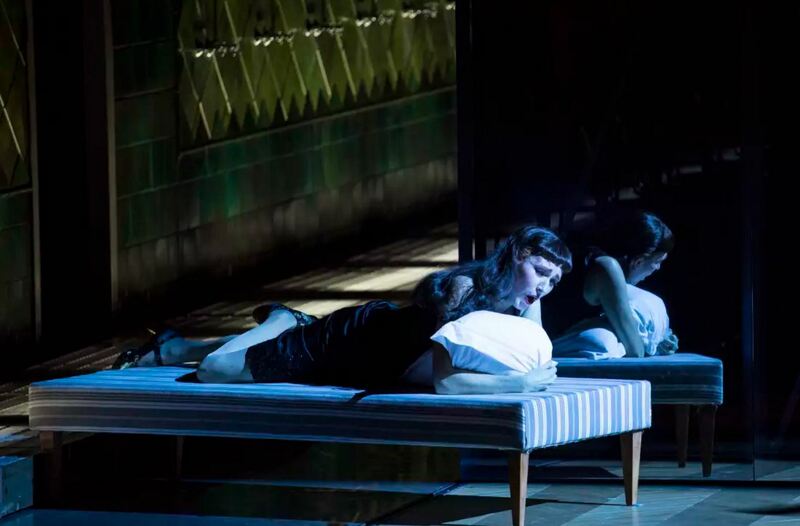 Both her vocal and dramatic mastery is unquestionable, and she fully utilises all means at her disposal to paint tragic and multifaceted heroine. Her heroine has to live in two worlds – in the hospice among other dying old ladies, walking living dead and in her inner world, with challenges and condemnations of murders committed and intended. Survivor of domestic violent tragedy, she should carry on the predicament and continue with killing or find internal strength to stop the nightmare. Another dimension in the tragic story adds a complex relationship between two other main protagonists: Oreste, the brother of Iphigenie, and Pylades, his friend and supposedly lover. 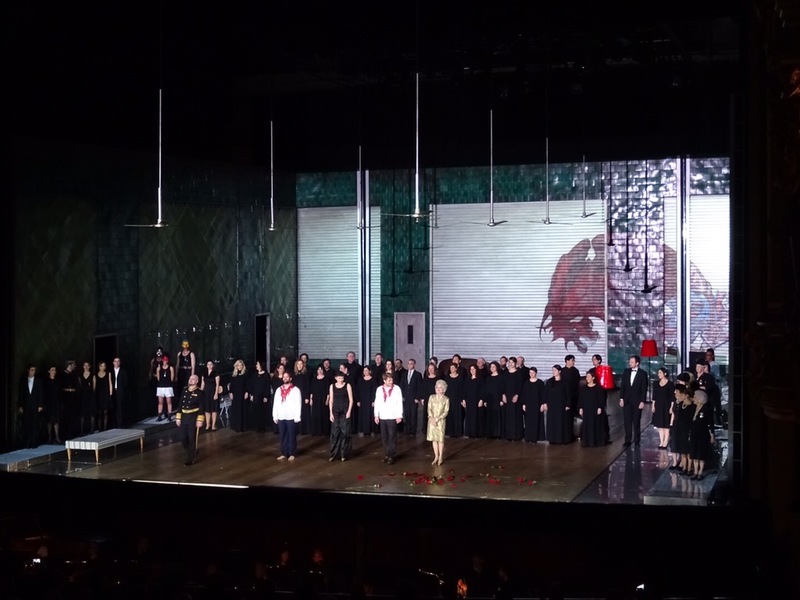 The “bromance” scene was emotionally highly charged and beautifully sung, the performance of Stanislas de Barbeyrac as Pylade was sung beautifully and acted with immersion into this complex and demanding role. 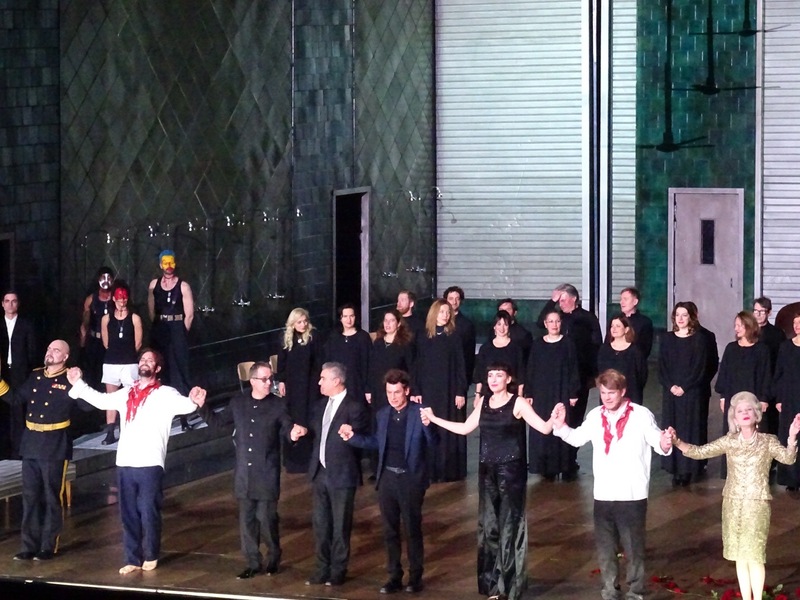 At the curtain call there were loud boos for Warlikowski and high praise for singers. 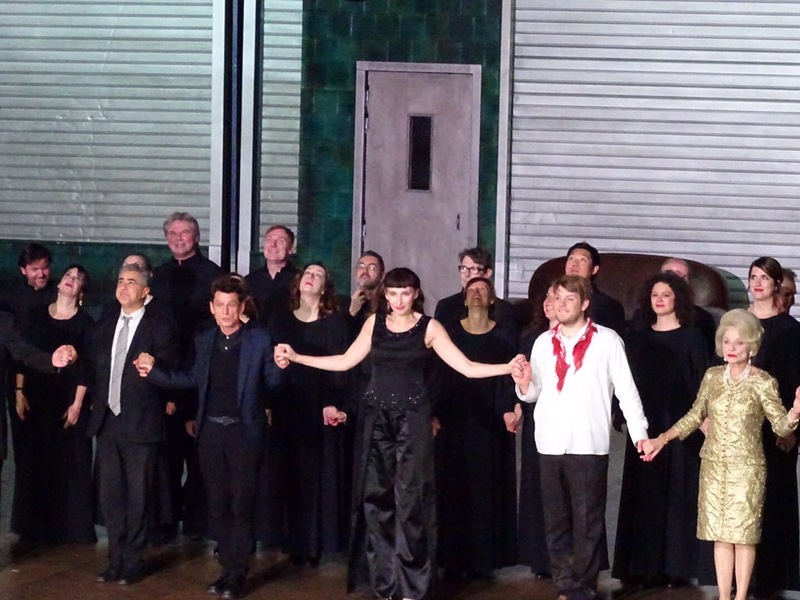 Special cheers for Veronique Gens as Iphigenie and Stanislas de Barbeyrac as Pylade, both well earned.